ProCon.org. 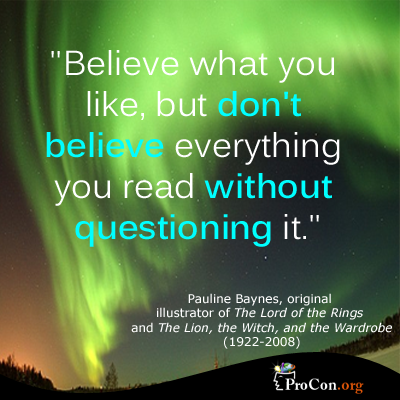 “Critical Thinking Quote: Pauline Baynes.” ProCon.org. 8 Aug. 2013. Web. 2 Oct. 2014.